Kellogg Arena, One McCamly Square, Battle Creek, Michigan 49017. Located just north of I-94 in Downtown Battle Creek. 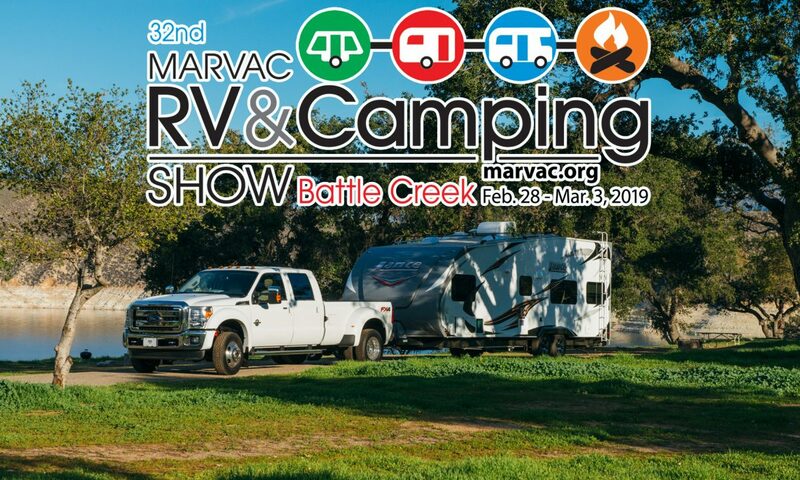 More than 50 units displayed, including folding camping trailers, motorhomes, travel trailers, toy haulers and fifth wheel travel trailers ranging in price from $6,995 to more than $100,000. 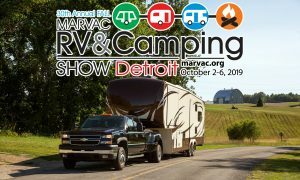 Exhibitors featuring campground information, parts and accessories, on-site RV financing and RV rentals make this the complete RV show experience. Adult admission (ages 13 and over) is $7; senior admission (ages 55 and over) is $6; and children 12 and under get in free! Parking not included in show admission. 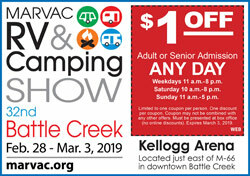 Coupons available online at www.marvac.org, Facebook, Pinterest and Instagram and in area newspapers for $1 off any adult or senior admission. Purchase advance tickets at www.battlecreeklive.ticketforce.com.